This article is part of Kallan's wonderful Sunday Stew. Please hop on over and read all the different flavors added by each chef. I know that you will love it! This past week I have been super busy with some art orders and I have also been trying to make some new things to sell in my shop. However, it's all getting sold before I actually get to put it in my shop or it is getting sold as soon as I put it in. ........I am not complaining AT ALL. This actually makes me quite happy. I am a very happy artist. With all this painting, I didn't really have time to come up with a craft. I did remember that it has been a while since I've done a book review. I collect books and one of the things that I love are magical books, fiction or non-fiction, they all make me happy. Today will be a review of a few books and maybe they will give you some ideas with your purchases when buying for your own little ones or grand-little ones. Also since this is back-to-school time and if you homeschool, consider adding these to your yearly read. 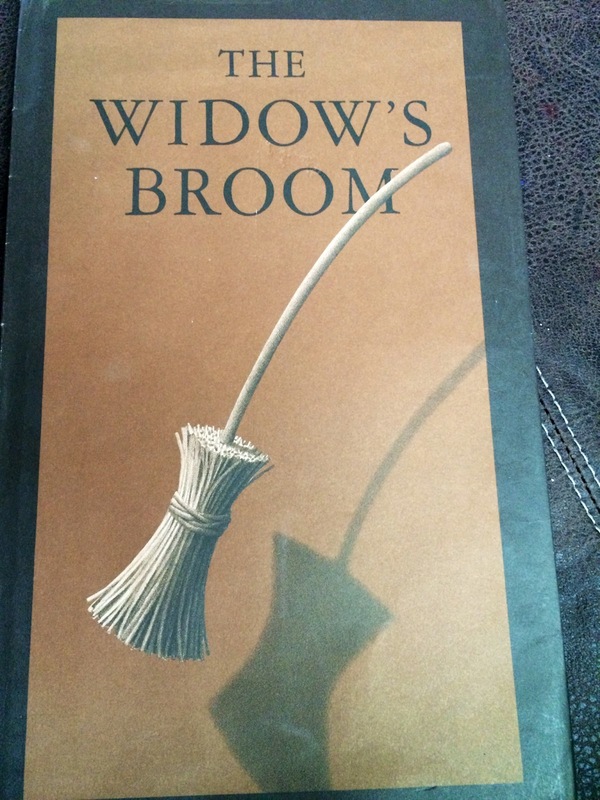 The first book is "THE WIDOWS BROOM" by Chris Van Allsburg. Oh my, how I love this book. I first encountered this book when my daughter was in Kindergarten. She is 25 now. I purchased it through the Scholastic magazine that gets sent home with your kids. Everyone needs this book, whether they are magical families or not. It is a book about someone being different and the fear that people have over those differences. It is a book of tolerance. The artwork is beautiful, as always, with Allsburg books. A witch falls from the sky into a lonely widow's garden. The widow finds the witch and nurses her back to health. The witch is gone by the next morning and she has taken the widow's broom and leaving her own in its stead. The widow soon finds that the magical broom is very helpful with her chores and is also good company, but her neighbors are horrified and view it as an evil thing. The children taunt the broom and cause it to have to protect itself. What happens to the widow and her broom when the neighbors catch it? 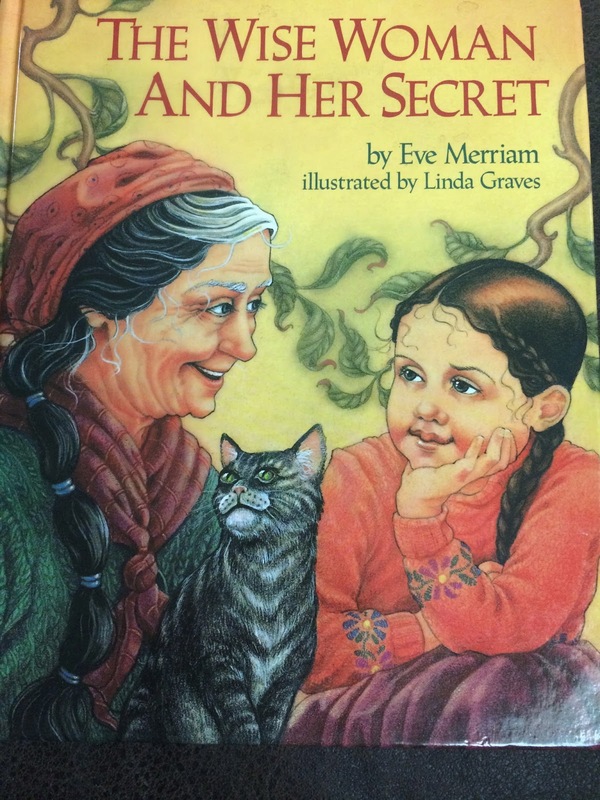 The next book is "The Wise Woman and Her Secret" by Eve Merriam. A group of villagers travel a long distance to the wise woman's home to find out her secret. How is it that a young girl discovers it before the adults? Again, this has beautiful illustrations to go with the wonderful story. 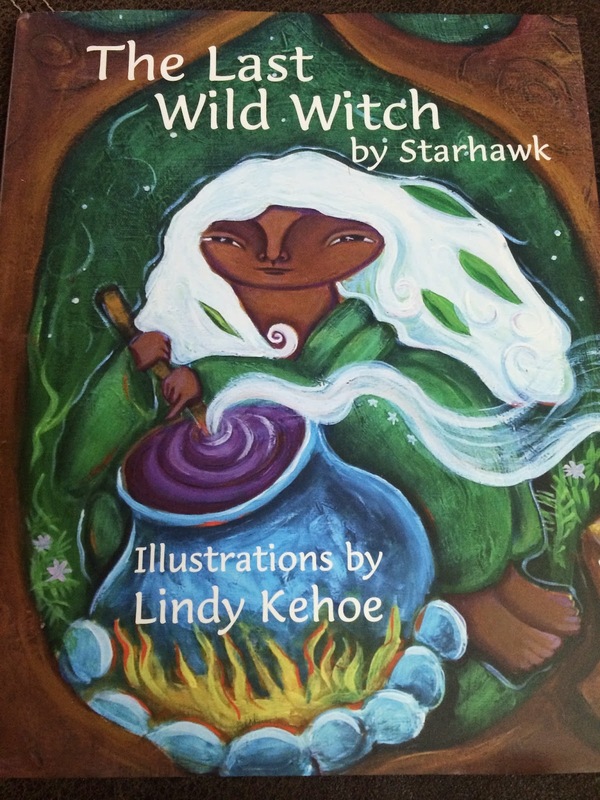 Up next, "The Last Wild Witch" by Starhawk. This is a beautiful eco-fable. And yes, this is the same wonderful author of "The Spiral Dance". The heart of the story is to have a bit of wildness in your heart and not be so close-minded and to respect nature and to not fear the unknown. The next books are from the same place, with W. Lyon Martin being the author for two and the illustrator for one. All of these are part of The Magical Child Story Collection. There are more in the collection than what I am showing you. I just don't have them all yet. Their web page and their facebook page. 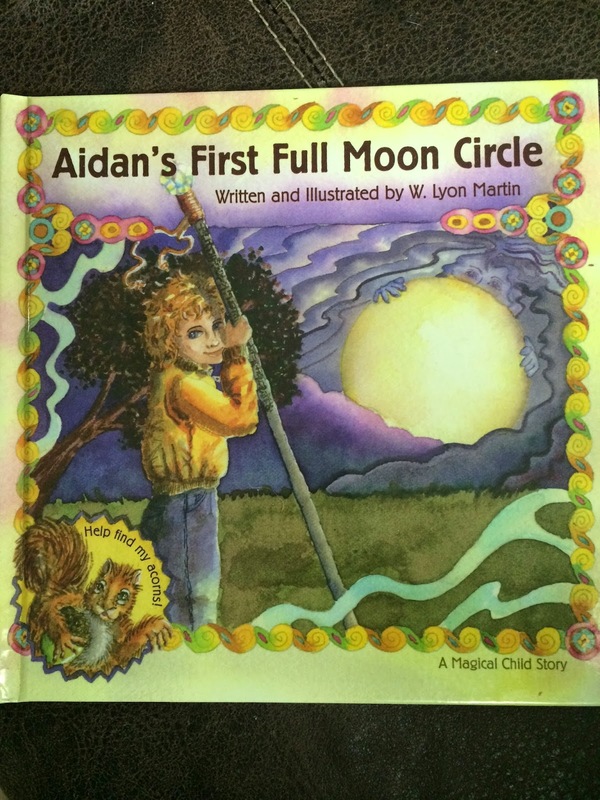 "Aidan's First Full Moon Circle" written and illustrated by W. Lyon Martin. Aidan and his parents are solitary. They decide to join in the local pagan community for a full moon celebration. This tells the story from Aidan's perspective. 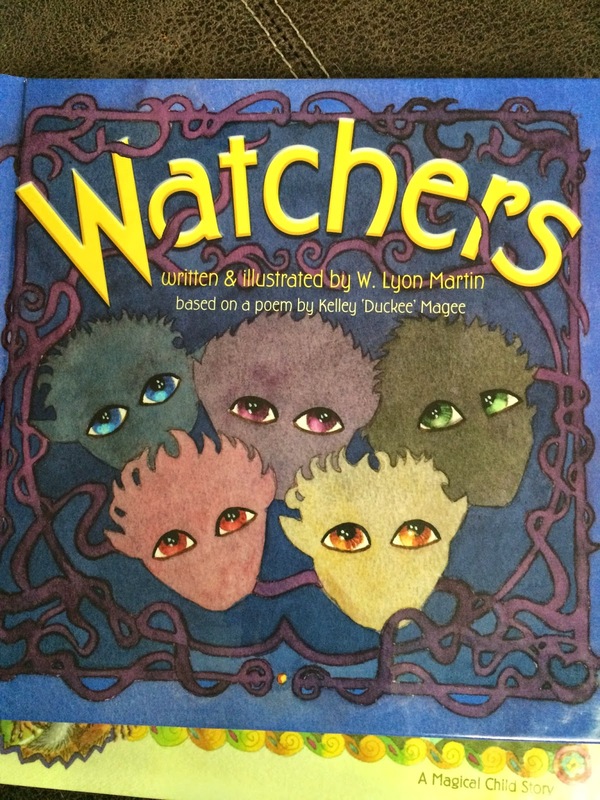 "Watchers" written and illustrated by W. Lyon Martin. Again, this is written from a child's perspective and it helps to handle bedtime fears. 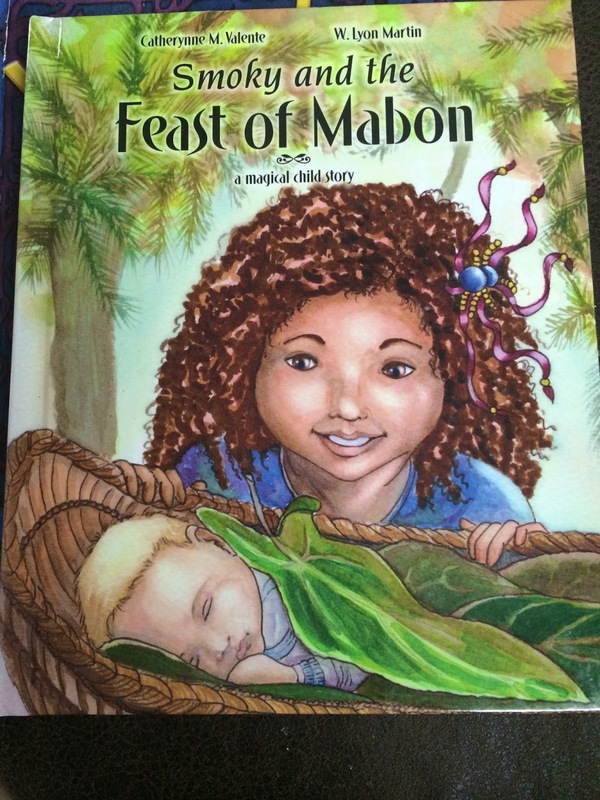 "Smoky and the Feast of Mabon" by Catherynne M. Valente and illustrated by W. Lyon Martin. It looks like this one is on sale through their website right now for 6.85! That's a good deal! Smoky discovers the meaning of Mabon in the woods behind her house. I hope you enjoyed my list and I also hope I have inspired you to try a couple of these wonderful books!